Hi! 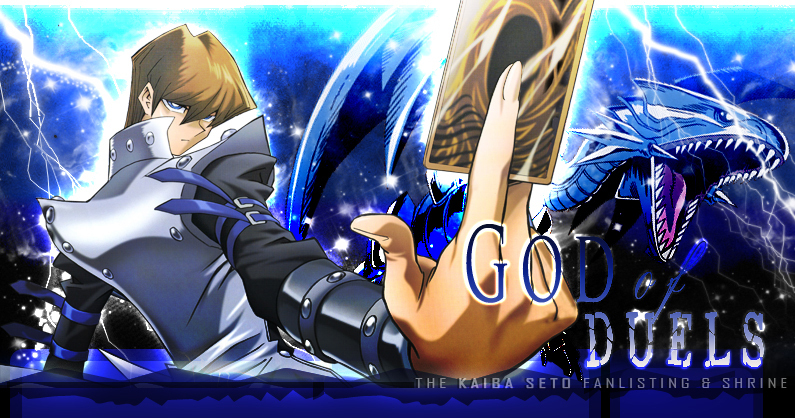 Welcome to GOD of Duels the TAFL & TAL approved fanlistings and a shrine dedicated to Kaiba Seto, a fantastic and matchless character of the series Yu-Gi-Oh!, created and illustrated by the great Takahashi Kazuki!  Firstly Kaiba is Yugi's anthagonist and the enemy of the series, but with the development of the story, he becomes a very important character, and not only because he's Yugi's eternal rival, but because he wants to find out his past in the Ancient Egypht and in order to do it, he faces off many opponents duelling against and together Yugi and his group. Kaiba is a very enigmatic and intense person that had never obtain something in his life without sacrifice something else. For all, he never lost himself and his goal, and he always goes on with pride and determination, with his admirable strength. Kaiba is absolutely my favorite character not only in Yu-Gi-Oh! but in every series! A very very special thanks and hug to Inggrid that let me adopt this fanlisting in August 2008. I'm very proud to own it! Please, choose a link from the right to fully access this site and if you're Kaiba's fan, feel free to join his fandom! UPDATE of March 04, 2011: Added new icons and codes for the Physical Network. UPDATE of April 19, 2010: Added a new affiliate: Perfect Duel, a marvelous resource for Yu-Gi-Oh! 's episodes, have a look, please! UPDATE of March 18, 2010: Welcome to two new affiliates, Shizuka & Otogi and Anzu & Mai's fanlistings! UPDATE of November 27, 2009: A new affiliate, the Jounouchi & Mai's fanlisting! UPDATE of August 15, 2009: Today is a special day since this is the birthday of this fanlisting (it's on-line since the 19th August 2008 but I got it on the 15th)! I'm deeply moved and happy, so I want to thank again the sweet Inggrid who let me own Kaiba's fanlisting realizing my biggest dream, there are no words that I can write to explain my feelings. And thank you all for the support, Kaiba is the greatest character of the story! Anyway, I added two galleries for him. One of his best images from the anime (screenshots and scans) and another one of fan-works, with a fan-art by me too, I realized it 8 years ago, it's not that good but is precious for me! UPDATE of June 06, 2009: Added a new affiliate, the cute Mana's fanlisting! UPDATE of February 13, 2008: Added two new affiliates, Carly and Luca from Yu-Gi-Oh! 5D's! UPDATE of November 16, 2008: 250 Members!! thank you very much to all for the awesome record, Seto is love! UPDATE of October 16, 2008: New affiliate!! Sanguine, an amazing Yuuki Jyudai shrine! UPDATE of September 25, 2008: Seto's Past Life section added! UPDATE of September 12, 2008: 16 donated codes added, thanks to delicious C.C.! YU-GI-OH! and related characters are the property of Takahashi Kazuki and Shueisha. This is a fan-site and I don't intend to violate them. Layout and contents are @Dorothy, do not reproduce them without permission.